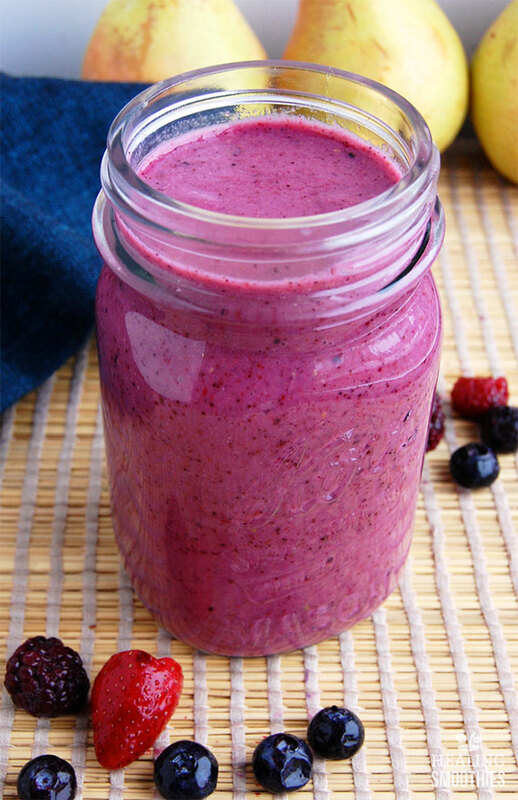 True to its name, this smoothie makes use of bright and flavorful berries to provide a lot of flavor and a long list of health benefits. 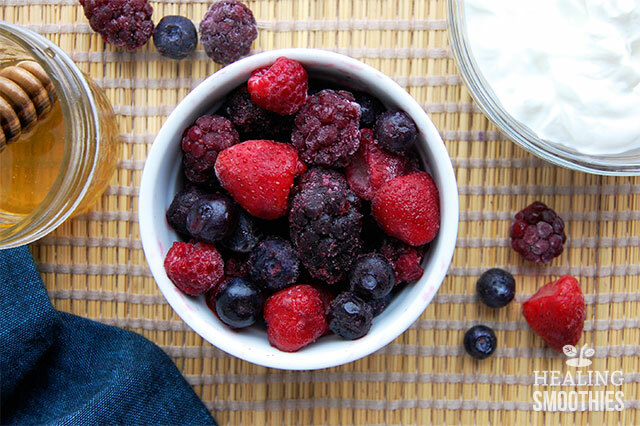 Rich in antioxidants and polyphenols,sweet berries have a well-earned reputation as superfoods. They not only fight chronic diseases but also support your overall wellness. 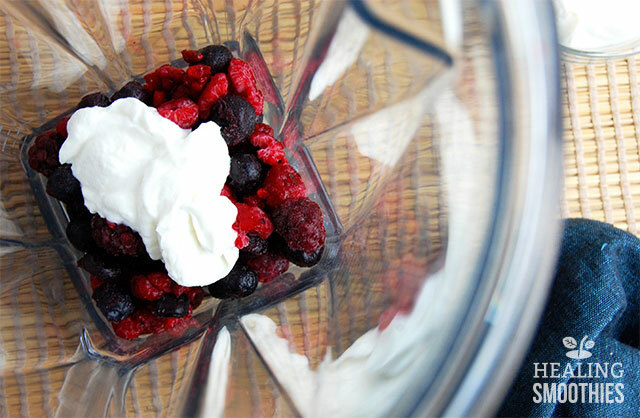 By themselves, each of the small berries in this smoothie pack a nutritional punch. Together, they can give you a well-rounded combination of all sorts of vitamins and minerals that is impressive for one drink. That’s why this smoothie is great for general wellness, since the various berries cover a lot of bases. Berries may come in many shapes and sizes, but they are all a strong source of nutrients. Their most common feature is a high antioxidant count. Antioxidants prevent cell damage that can lead to cancer by fighting harmful free radicals. Anthocyanin, one type of antioxidant, gives berries their beautiful colors. Anthocyanin works to reduce inflammation and prevent tumor growth. Another important antioxidant in berries is vitamin C, for supporting your immune system. Strawberries actually have a particularly high level of vitamin C, with one cup supplying all of your daily recommended intake. Furthermore, vitamin C assists in the production of collagen to keep your skin glowing and smooth. The vitamin keeps you healthy inside and out. 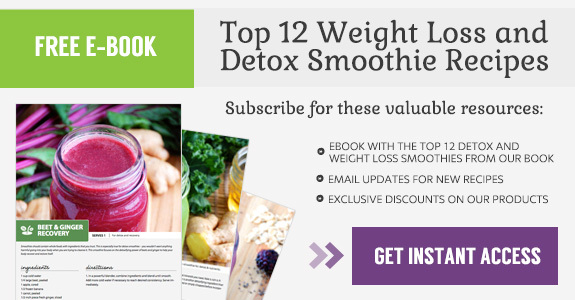 Additionally, this smoothie can help you meet your daily fiber requirement. 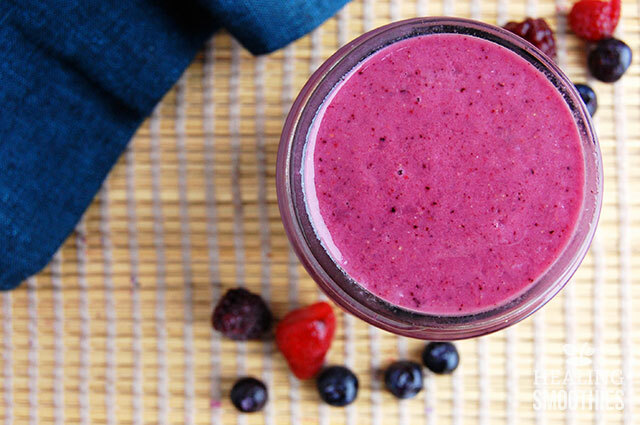 All of the berries in this smoothie are a good source of fiber. Fiber is essential for proper digestion, and can even reduce the risk of heart disease. Blueberries in particular are the best for digestive health. Berries provide other vitamins and minerals as well. Folate, which aids in DNA formation, can prevent certain birth defects. It is therefore an important vitamin for pregnant women and proper fetal development – strawberries and blackberries have the highest amount. Berries also contain potassium, manganese, and iron. This recipe calls for one and a half cups of mixed berries, which may seem general. But you can really use any combination of strawberries, blueberries, raspberries, and blackberries that you desire. Usually grocery stores even sell frozen mixed berries together in a bag. Frozen berries are often a good replacement for fresh berries during the off-season months (and just as nutritious). The honey in this smoothie is completely optional and really depends on your personal taste. 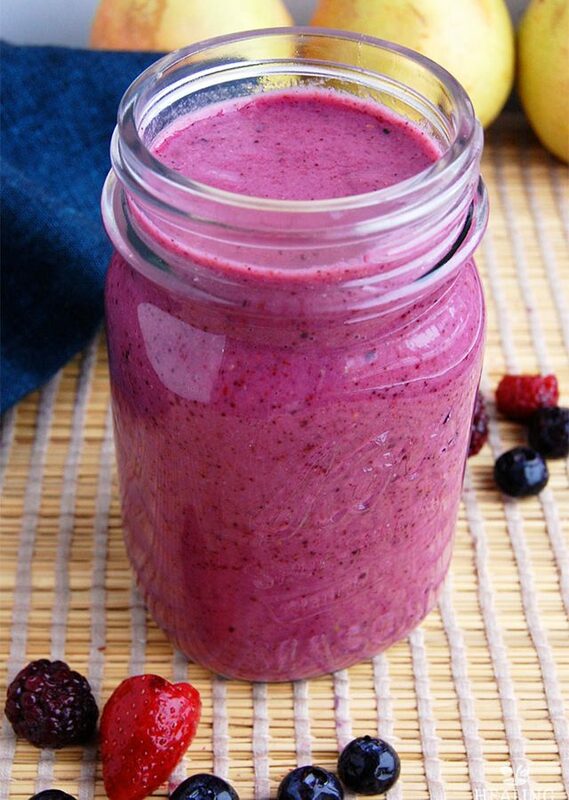 Add less almond milk for a thicker, yet still very berry, smoothie. 1. In a large cup (if using an immersion blender) or a blender, combine ingredients and blend for at least one minute until smooth. Add more almond milk if necessary to reach desired consistency. Serve immediately.